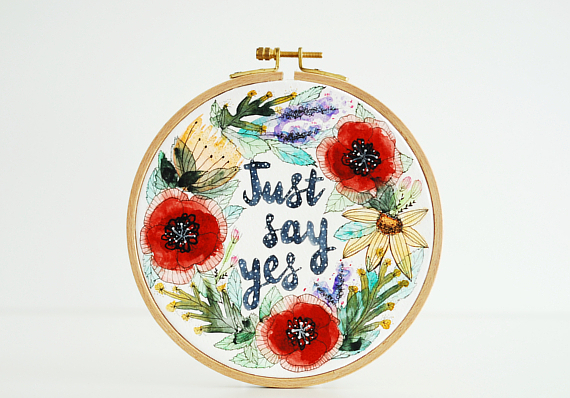 Hope you will enjoy this new original hoop art, inspired by fresh flowers and wedding proposals! This original watercolor is already available at my Etsy shop. Receive news and updates about my work, sign my newsletter.